The authors of Freakonomics have now written Think like a Freak. Their stimulating perspective is an invitation to think in even more original ways. 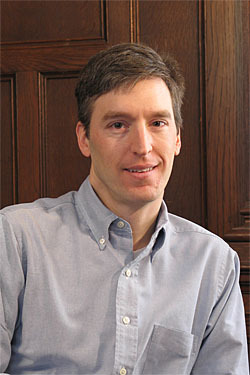 Steven Levitt is an economist at the University of Chicago who became famous for his book Freakonomics, in which he applies logic and mathematics in original ways to both longstanding and novel problems and issues. The book’s co-author, Stephen Dubner, is a writer who can turn dry statistics into page-turning adventures. One controversial topic covered in Freakonomics was the cause of the decline in the US crime rate in the 1990s. The authors presented the idea that the legalisation of abortion nationwide in the early 1970s led to a significant decline in the birth of children in disadvantaged circumstances, and as a result the crime rate went down 15 to 20 years later. They cite statistics and references to back up this hypothesis. Freakonomics looked also at why teachers cheat, the economics of drug dealing, and fashions in naming children, among other topics. 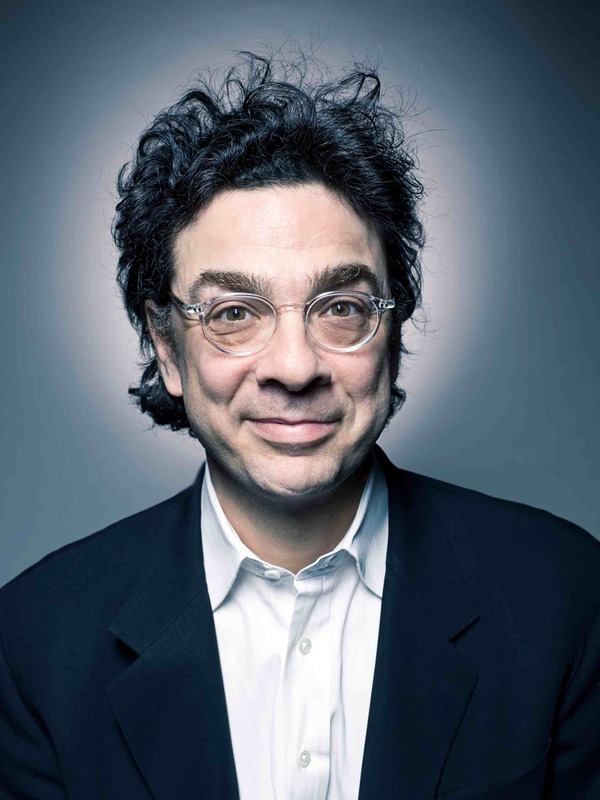 Levitt and Dubner later extended their popular treatments of unorthodox perspectives in SuperFreakonomics. As well, the authors run a blog and a radio programme. 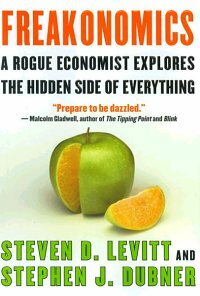 Because of the huge sales of Freakonomics, it is not surprising that Levitt’s research findings have come under considerable scrutiny, with some data and findings contested. As well, it is debateable whether the topics covered should be considered part of the economics discipline. Most recently, Levitt and Dubner have written Think like a Freak, aiming to explain their approach by using engaging examples to motivate general comments. This book is my focus here. Learning to think in unorthodox ways can be worthwhile even if the results are sometimes questionable. In Think like a Freak, the authors tell, for example, of Takeru Kobayashi (nicknamed Kobi), a slightly built Japanese man who became involved in competitions to eat as much as possible in a short time. After some initial successes, he entered the biggest event in the field, Nathan’s Famous Hot Dog Eating Contest in Coney Island, New York. The annual contest involved eating as many hotdogs as possible in 12 minutes. Other competitors followed the then conventional wisdom, which was to train by eating as much as possible. Kobi, though, decided to train in a different way: he experimented with different approaches, for example eating the sausage separately from the bun and soaking the bun in water so it could be swallowed more quickly. 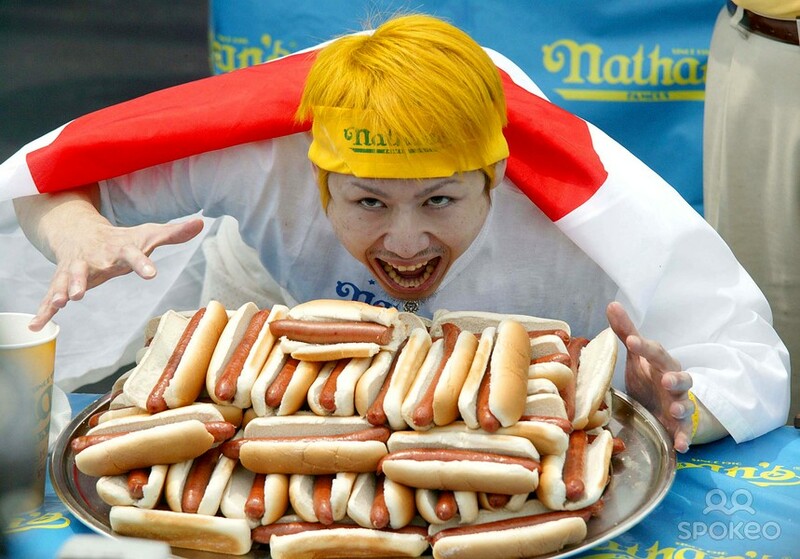 Going into the competition, Kobi astounded the field by winning and by smashing the record, eating nearly twice as many hotdogs as the previous highest number. From this example, Levitt and Dubner highlight a few key points. Kobi didn’t just accept the conventional approaches: he tried out new approaches, tested them and practised them. Another thing was that Kobi focused on how he ate, namely applying the methods he had developed as well as possible rather than comparing his performance to previous efforts by others. In this way he was not held back by the expectation that records can only broken incrementally. Finally, Kobi developed a mental technique, including his focus on process, that allowed him to enjoy the process of gorging himself, despite the pain and discomfort involved. Levitt and Dubner pursue this path of presenting simple ideas that, when applied in unorthodox ways or to unexpected topics, lead to potential breakthroughs. One chapter is “Think like a child.” Of course they don’t mean always think like a child, but in some circumstances children can cut through conventional ways of seeing the world, conventional for adults that is. A magician friend of the authors told them he was hardly ever caught out by an adult, but quite a few children could see through his tricks, for a variety of reasons: they were less focused and hence harder to distract, they were more attentive to details adults wouldn’t notice, and they were shorter and could see things that adults couldn’t because the tricks were designed to be seen from above. Levitt and Dubner describe meeting with David Cameron just before he became Britain’s Prime Minister. They pointed out some ways to make the National Health Service more efficient by introducing charges for service, a perspective that comes naturally to an economist. But Cameron switched off: the NHS was not to be tinkered with. Levitt and Dubner advocate going to the roots of problems, not just treating symptoms. They tell the now-familiar story of how Barry Marshall and Robin Warren discovered that ulcers are caused not by stress and spicy foods but by a bacterium that can be eliminated by antibiotics. They had to fight the medical establishment for recognition. Marshall and Warren, now Nobel Prize winners, had addressed the cause of ulcers. So far, so good. Then there is crime, a favourite topic for Levitt and Dubner. In reprising their studies of abortion and crime, they point out that some measures, such as more capital punishment and tighter gun laws, do not reduce the crime rate. They instead prefer to focus on something deeper, children’s upbringing. There are other ways to look at crime not examined by Levitt and Dubner. One is to point out that nearly all crime appearing in US police statistics is by people at the bottom of the social pyramid. Those who are poor, with less education and few opportunities, are far more likely to commit the sorts of crime that result in arrests and imprisonment. However, available evidence suggests that the biggest criminals are at the top of the social hierarchy, including white-collar crimes by individuals and major crimes by corporations and governments. Pharmaceutical companies, for example, have been fined billions of dollars for crimes leading to the deaths of tens of thousands of people, but few executives are ever called to account. So crime statistics should be treated as an artefact of a class-based approach to criminality: most of the big boys (and girls) can cheat and steal with impunity, while those further down the hierarchy are subject to far greater scrutiny and punishment. The sociologist Randall Collins wrote an insightful chapter presenting an unfamiliar perspective on crime. He argues that all societies need to define some activities as deviant, and those considered most deviant are criminalised. So crime rates reflect deeper processes of social stratification and exclusion. In this case, thinking like a freak may not get you as far as reading some sociology. Levitt and Dubner write about a study by Jörg Spenkuch of German Protestants and Catholics that found people living in Protestant areas earned a little more money on average than people living in Catholic areas, although their hourly wages were the same. One factor was that those in Protestant areas worked longer hours. Is the lesson from this, as suggested by Levitt and Dubner, that kids should be encouraged to be more hard-working like Protestants? An alternative lesson is that by working fewer hours, Catholics are increasing their well-being: it is well documented that higher incomes have a minimal impact on happiness compared to spending time with family and friends. Levitt and Dubner include a useful chapter on how to persuade people who don’t want to be persuaded. They make some useful recommendations. One is to give credit to the other side’s strong points, because an opponent is unlikely to engage in debate with an obviously biased perspective. In studying numerous scientific controversies over the years, my observation is that it is rare for a partisan to give a fair summary of the opponent’s argument. In the Australian vaccination debate, each side presents its strong points and criticises the other side’s weak points. There’s very little persuasion going on. Another recommendation made by Levitt and Dubner is not to insult the opponents, for example by calling them ignorant, foolish, dupes or crazies. Going by past behaviour, many vaccination partisans won’t be following this advice. The authors use climate change as an example, pondering the difference between the scientific consensus about the reality of human-induced global warming and the considerable scepticism among the US public. However, they omit one important factor: in the US, there is a powerful fossil-fuel lobby that does everything it can to create doubt about climate science. In many other countries, climate sceptics have low public credibility. So perhaps Levitt and Dubner could make another recommendation: have on your side a powerful and wealthy group that intervenes in the debate. Levitt and Dubner use a different example to good effect: driverless cars. These are getting better technologically, but to argue for them, they say it is wise to acknowledge possible dangers, for example that a driverless car could plough into a preschool, killing lots of kids. They provide the figures to show that dramatic events, reported in the media, give an unrealistic picture of technological dangers. Cars (with drivers) are the big killer of kids in rich countries, and if driverless cars reduced the road toll even a little, many more kids would be alive and uninjured. However, there is another way to look at the issue of driverless cars, which is to ask by so many billions of dollars are being devoted to a slight improvement in a transport system that is inherently unsafe, as well as being damaging to the environment. For decades, critics of the car have been advocating for a range of alternatives: walking, cycling, public transport, and design of cities to make walking and cycling safe and attractive. Recognising such alternatives does not require thinking like a freak, but rather being open to possibilities that clash with the powerful road and auto lobby in the US. Thinking about transport like a freak in Copenhagen, where commuting by bicycle is commonplace, would be different than thinking like a freak in Los Angeles. The final chapter of Think like a Freak is titled “The upside of quitting.” They say that quitting has an unfortunately bad reputation, often being associated with failure. 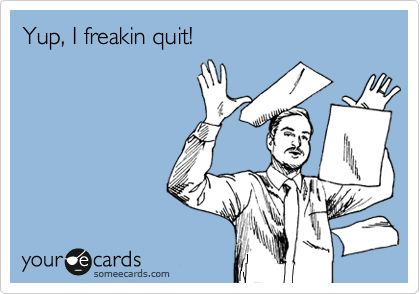 They note that quitting a project, a job or a relationship can have many advantages, but quitting often is not contemplated because of sunk costs and lack of consideration of opportunity costs. They describe tech companies that try out lots of ideas with the aim of testing them promptly and, if they don’t measure up, quitting without investing a lot of money. It makes sense to spend some time and effort, but no more than necessary, determining whether something is a bad idea. Levitt and Dubner even set up an online operation that offers to flip a coin for people to make decisions, for example whether to leave a job or a relationship. This has attracted tens of thousands of participants who are asked to report on the outcome of the process. Despite some intriguing outcomes, I have reservations. There is research showing that people systematically misjudge what made them happy in the past and what will make them happy in the future. Indeed, there are several illusions involved in people’s explanations for their current state of mind. So while I sympathise with Levitt and Dubner’s encouragement to see the positives involved in quitting and failure, actually measuring the consequences of choices can be challenging. Think like a Freak is engaging and informative. It is written as a set of stories, and the authors are well aware that story-telling is a powerful technique for getting a message across. The book concludes with some modest comments.